Illinois limited partnership is governed by the the Illinois Limited Partnership Act (2001) (ULPA) which became effective January 1, 2005. The ULPA (2001) applies to all Illinois limited partnerships unless the limited partnership was formed before January 1, 2005, in which case, certain provisions of the ULPA (2001) do not apply unless the partners elect otherwise. The ULPA (2001) replaced the Revised Uniform Limited Partnership Act (RULPA). Under the ULPA (2001), an Illinois “limited partnership” is a partnership of one or more general partners and one or more limited partners. 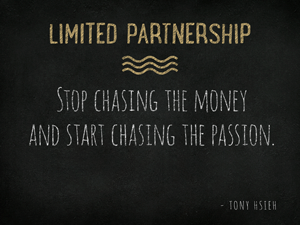 A limited partner’s interest in the partnership is essentially an investment in the business. Under the ULPA, limited partners are not personally liable for an obligation of the limited partnership simply because he or she is a limited partner, even if the limited partner has control or helps manage the limited partnership. On the other hand, general partners are jointly and severally liable for all of the limited partnership’s obligations. An Illinois limited partnership is a partnership of one or more general partners and one or more limited partners. Limited partners are not personally liable for a limited partnership's obligation, even if the limited partner has control or helps manage the limited partnership. On the other hand, general partners are jointly and severally liable for all of the limited partnership’s obligations. The main difference between the liability of general partners and limited partners is that general partners are responsible “in solido” for the business’ debts and obligations regardless of the amount the general partner(s) contributed to the capital of the business. Whereas limited partners are not personally liable (if the statute has been complied with) because their investments and cash contributions are substituted for personal liability. Moreover, a limited partner’s share of the losses will not exceed the amount of capital the limited partner initially contributed to the business.